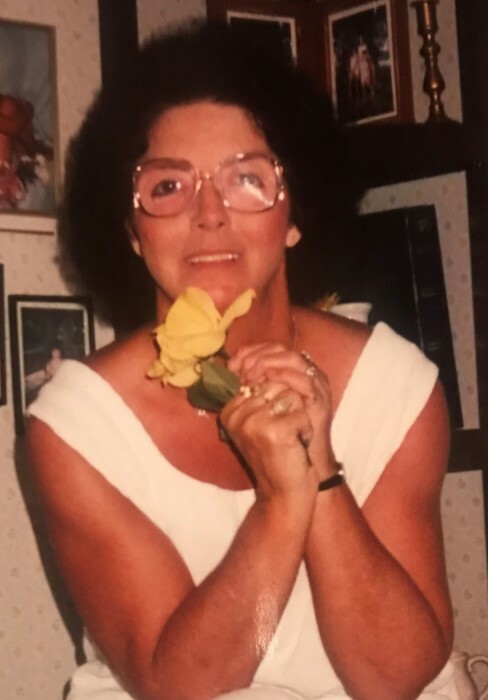 Mary Jean Earnest Bishop, age 80, resident of Bolivar, former resident of the District 15 Community and wife of the late Samuel Alford Bishop, departed this life Sunday morning, January 27, 2019 at her residence. A memorial service will be held at 1 P.M. Thursday, January 31, 2019 at Mt. Olive Baptist Church in the District 15 Community of Fayette County with Bro. David Reeves, pastor of Midway Baptist Church in Whiteville, officiating. Interment will be private. Arrangements will be provided by Peebles Fayette County Funeral Homes & Cremation Center - Main Chapel of Somerville. Jean was born August 11, 1938 in Hickory Valley, Tennessee, the daughter of Melvin R. Earnest and Florence Irwin Earnest. She was a longtime resident of the District 15 Community in Fayette County and was married October 25, 1958 at Somerville First Baptist Church to Samuel Alford Bishop. Jean was employed as a teacher’s assistant at the Fayette County Board of Education for 25 years before her retirement in 2000. She was a member of Mt. Olive Baptist Church in the District 15 Community and enjoyed sewing, painting, going to the casino and gambling, planting roses and special times with her family. Mrs. Bishop is survived by her daughter, Stacy Bishop (Marshall) of Bolivar, TN; her son, Mike Bishop (Janet) of Oakland, TN; four sisters, Joyce Parks (Gene), Judy Fortune, Jackie Howard (Alan), Janie Paige (Mark); two brothers, Richard Earnest, Douglas Earnest (Denise); five grandchildren, Daryl Bishop, Andrea Bishop, Damion Bishop, Patrick Glover (Weatherly), Amber Bishop; and six great-grandchildren. She was preceded in death by her husband who died July 26, 2005, Samuel Alford Bishop; her parents, Melvin R. Earnest and Florence Irwin Earnest; three sisters, Ruth Bishop, Sue Tucker, Sarah Bishop; and her brother, Buddy Alvin Earnest. The family wants to give a special thanks to the Tomlinson family, the Lewis family, Carey Rodgers, Mary Tatum and family, Sedina Neeley, Nita Douglas (Telly) and Latoya Patterson (Julio).